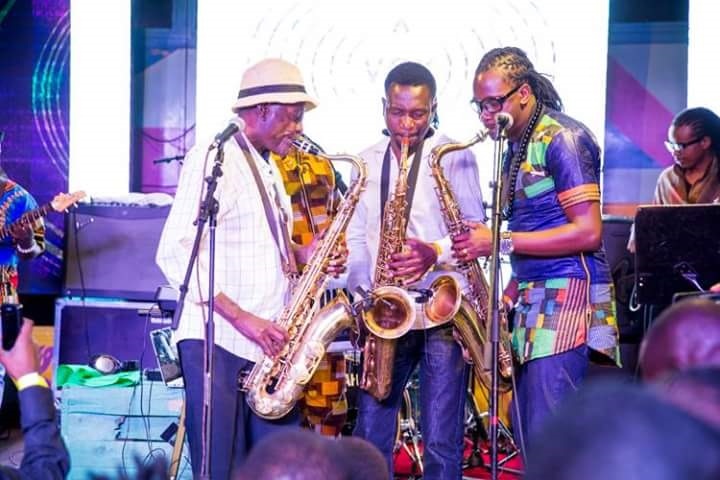 News spread fast that the legendary King of Bango was going to be in Nairobi for the 3rd edition of Jazz Attitude; a monthly event that celebrates the vibrancy of jazz in Nairobi. Jazz attitude 3 welcomed the legendary curator of Bango, Mzee Ngala. 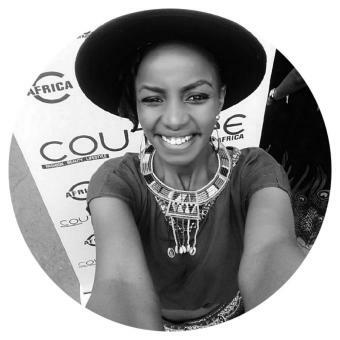 Bango is a sound heavily felt within the coastal regions of Kenya. 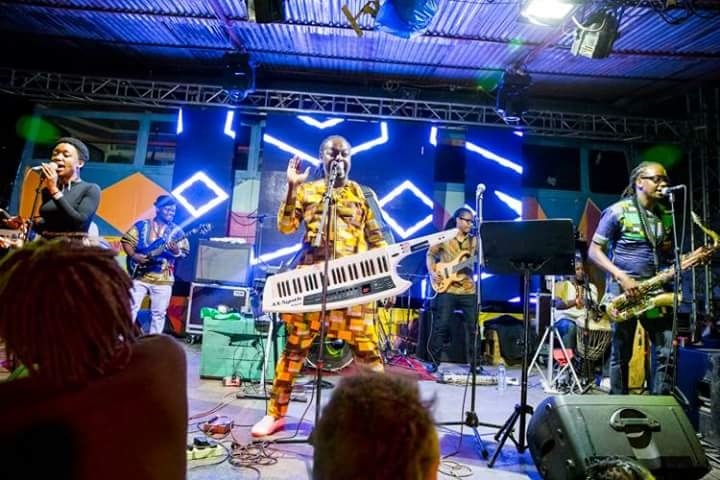 This event also doubled as the launch of a collaborative project ‘Kali za Pwani’ which featured performances by several acts from the coastal region and was built around the aesthetic of the legendary Mzee Ngala’s Bango sound. 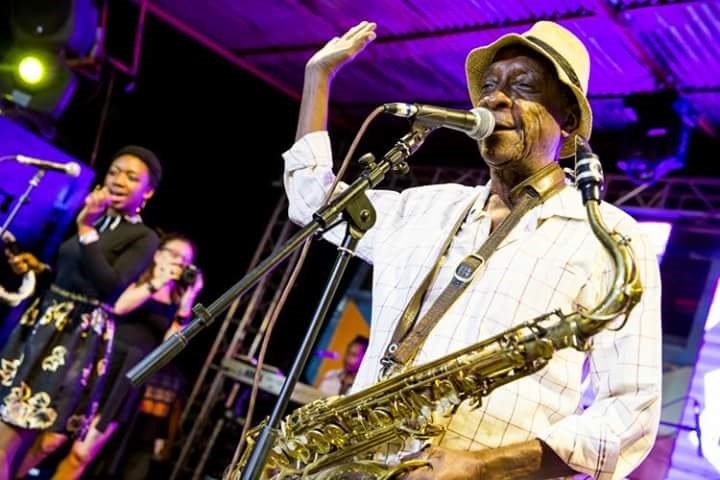 However, Mzee Ngala states that he didn’t really invent the Bango sound but it originated from his most popular song ‘nipe Bango’ (translates to ‘give me a coin’), which he used to perform often at bars early in his career. Like a tidal wave the Bango rhythms became a mainstay at festive occasions in the coastal region, especially at weddings. 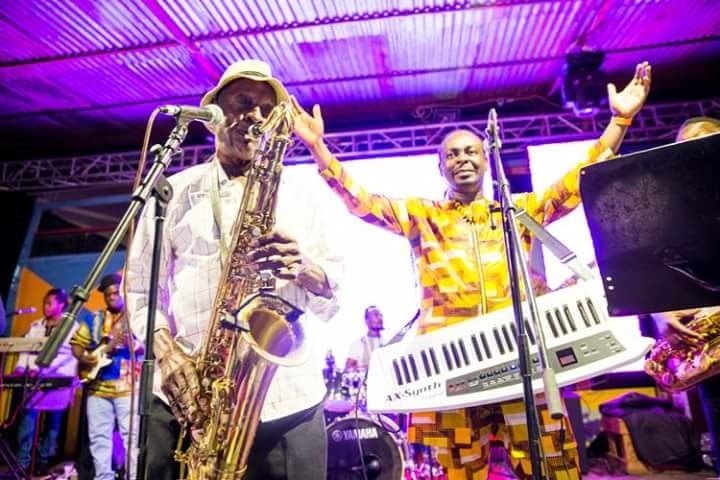 Coastal musical giants of Jazz; Mzee Ngala, Juma Tutu, James Gogo, and Kombo Chokwe teamed up to this project which bursts with rhythmical exuberance of the region. The album consists of 13 tracks. It is colored by sentimental, patriotic, educational and romantic themes, which use both ironic and direct language to comment on people’s personal lives. Bango sounds, hip hop, Mijikenda Chants, Bantu rhythms, and Swahili melodies are well layered through the album. 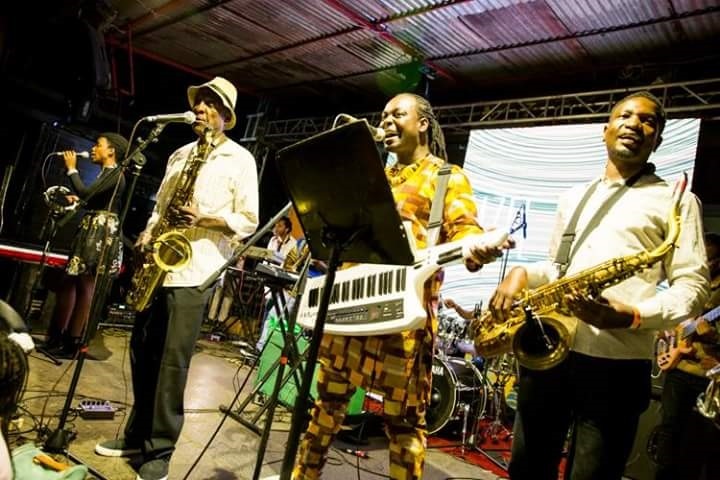 Featured in the album are James and The GogoSimo Band’s music which blends Coastal music, African Tempos with a taste of Western Instrumentation creating a unique East African sound. Without a doubt, songs such as Ngoma, Kibebwe, and sirathii will get you up on your feet dancing along to their upbeat tempo. Kali za Pwani is heavily polyrhythmic; it is made up of different sounds. Predominately maintaining the rhythm is the drums, xylophone and percussive instruments. Clapping, stomping, singing, and chanting adds another percussive element. 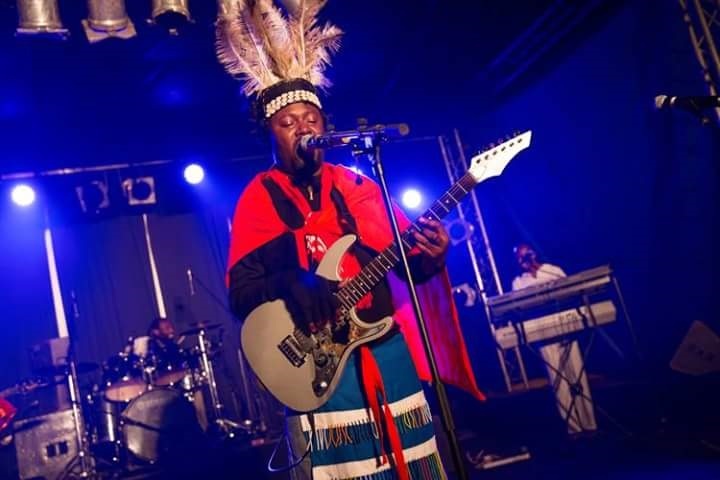 Songs like Mwembe and Kaya, done by Kombo and the Afro Simba band, exudes a heavy Mijikenda sound. It tickled me to hear a live recording of Sukari, the most popular song by Juma Tutu and the Swahili Jazz band, which I have often heard performed live. Kimombasa, another great track, speaks about the way of life at the coastal. It delves into how they pass greetings, show respect to one another and live amicably with each other. The album ends with on a patriotic note with a titled track Uzalendo performed by James Gogo, Juma Tutu and Nafsi Huru. The songs speaks against the ills of hatred among Kenyan citizens and urges us to love one not just in word but in deeds. Kali za Pwani is well annotated, and well recorded, this CD is an important addition to the available recordings of the music of the Kenyan coast, and will be of great interest, to new listeners and seasoned listeners alike for music lovers searching for a coastal sound.